Founded in 2006, VR4Rob.com is the online home to everything that is VR4Rob. Music, cars, and photography are just a few of the things found here for your personal enjoyment. We thoroghly hope you'll enjoy your stay and comment on some of the photography, music, and design on this site. All content, music, and photography are original to VR4Rob unless otherwise noted. VR4Rob.com became was it is today starting with the acquisition of the Blue VR-4 in March of 2004. Since then, a whirlwind of events has taken place leading people from all over to places they never previously imagined. Passion is something that is shared common among every 3000GT or Stealth owner. To truely know, one must experience it first hand. See the Automotive section of this site to find out more. Also Founded in 2006, RLII Photography is the imagery division of VR4Rob.com. 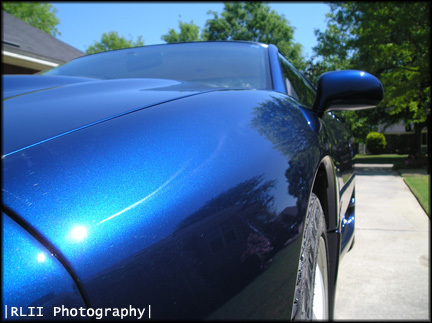 Specializing in automotive photography and photo editing, RLII strives for the aboslute best in digital imaging. Started with a gift of a world class Canon Digital Rebel XT from VR4Dani, RLII Photography has grown exponentially since. We strive to be among the best in not only automotive photography but other areas as well. We hope you enjoy experiencing the photographs as much as we do capturing them. VR4Rob's music tries to combine several different aspects of Modern, Classic, Grunge, and Progressive Rock styles with some unexpected twists to provide a new, cutting edge sound that is still faithful to it's influences. Some major influences of the music here on this site are (but not limited to): Led Zeppelin, Jimi Hendrix, Soundgarden, Audioslave, Stone Temple Pilots, Stevie Ray Vaughan, and Pink Floyd.